Double sided wood charm. The charm is laser engraved with different logo images on the front and back. 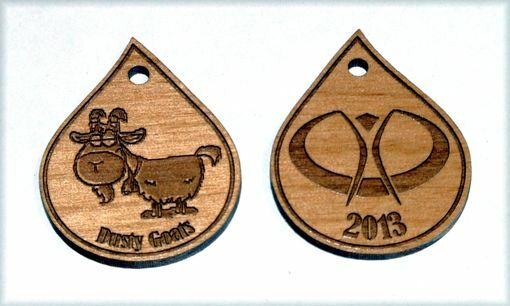 The charm is laser cut out of solid 1/8 inch thick alder wood. The images and edge left the natural color of laser burnt wood. Intended to be used as a charm. We can create a custom charm using your logo or image.